From Wickenburg, AZ to Twentynine Palms, CA, the desert is already heating up in mid-April. 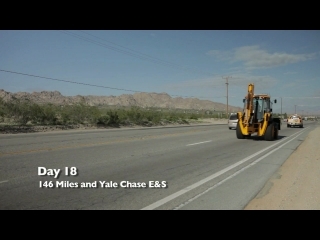 We saw 95 degrees today, and probably the longest single climb of the trip as we approached Joshua Tree National Park. 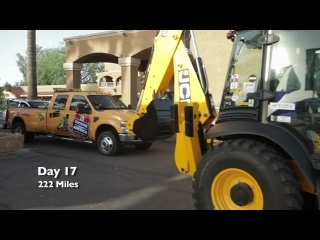 Even with the air conditioner running in the cab, the JCB 3CX didn't miss a beat on this demanding day of 222 miles.